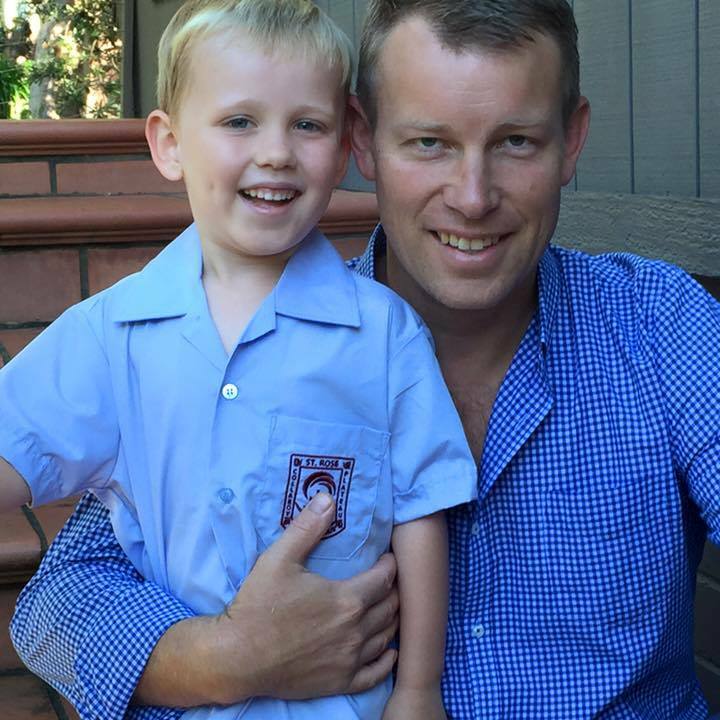 Our young bloke Tom started school this year. No doubt many of you have shared the same joy, and possibly even the tears of watching your children start school. For us, it’s our first and another milestone along the parenthood road. Tom has handled it much better than I expected he would. Sometimes a timid little boy, he’s found his brave face and dug deep to take it in his stride…well, most days anyway. As we sat in the playground recently, waiting for the bell to go, we were watching the kids playing handball. Only two were in the game when we sat down and I encouraged Tom to join in, but he just wiggled closer under my arm. He continued ignoring my nudges and so I started to watch the game. There were now four kids of different ages, boys and girls, and I smiled as the rules came out. As more kids came along the game just expanded, with six kids playing in six squares. More and more kids started to watch on the side lines and as one lost another joined the back square. “Can’t get out first touch” had saved me many times when I was in the prime of my handball career, and it was still saving a few today. When I started school back in Barraba, the kids in my year fitted into that handball court. Yep, six in kindergarten and a total of just 30 in the whole school. Nonetheless it was a proud moment when I was announced School Captain in my final year of primary school. My chest grew big, and my head even bigger. The bubble only slightly burst when I tried a ‘Country Manoeuvre’ on my fellow school captain, the lovely Debbie, and was denied. I still remember the drought through inland NSW from the early ‘80s. In my early years of school, we had dirt playgrounds because the town had no water, and what grass there was on the farm turned to dust when you kicked it. Although not quite as bad now, our farm is doing it tough and needs good rain and plenty of follow up to get moisture back in the subsoil. Closer towards town they have had a great season, lucky enough to be under the summer storms before Christmas, they have a great body of feed. These are some of the critical storms we missed out on! The falls we have had in the last 12 months have really only kept the surface wet and the grass growing. However there has been no real runoff to fill dams and creeks for years. Saying all this the stock still looks good and we have moved all our cattle and sheep down off the mountain into our ‘Bottom country’ where there is good dry feed and fair water. The heat of the last few weeks and winds have ‘hayed off’ all the feed we have left. We are in maintenance mode as we wait for rain. Back in Sydney the playground is now full of kids. Little Tom has warmed up and is talking to his new school mates. The bell goes, a quick kiss and a hug, and he on his way. Another day has started and another hurdle jumped. Let’s see what tomorrow brings, hopefully no tears….maybe rain instead? Ben Clinch has a strong background in agriculture and has experience in operations and project management. Before starting The Free Range Butcher he worked as jackaroo, camel handler, barman, security guard, handyman, and tiler. These days he manages the day to day running of The Free Range Butcher business, and you can usually find him out the front of the farmers market stall; often telling bad jokes, or offering samples to vegetarians. He’s also the go to guy for sales, corporate enquiries, events, and silly questions.